Bombardier Commercial Aircraft launched the 50-seat CRJ550 aircraft with a new type certificate based on the CRJ700. United Airlines is the launch customer of this new model. “The new CRJ550 model is the only solution in North America that can replace the existing fleet of ageing 50-seaters, a market of over 700 aircraft,” said Fred Cromer, president, Bombardier Commercial Aircraft. The CRJ550 will feature a self-serve beverage and snack station and, according to Bombardier, more overall legroom per seat than any other 50-seat aircraft flown by any U.S. carrier. 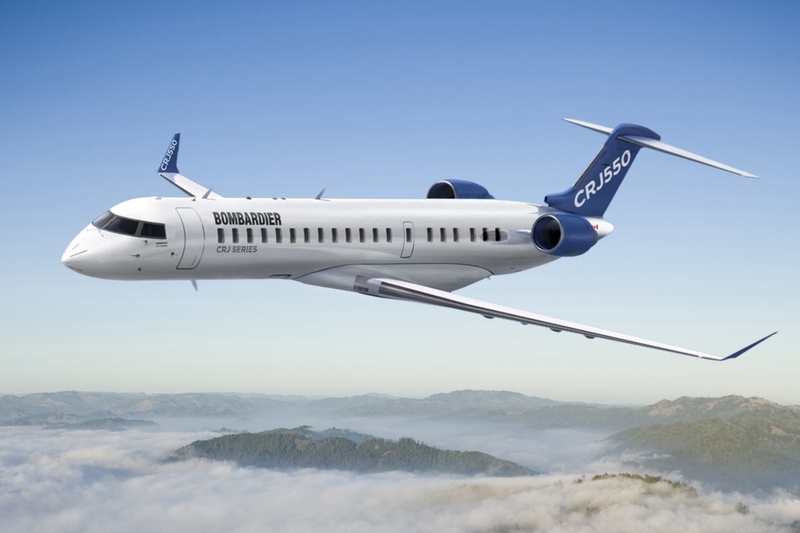 With the introduction of the CRJ550, Bombardier states the CRJ Series is the only family of regional aircraft that can offer 3-class cabin across all-market segments, while meeting the current operational requirements. Bombardier explains of the key benefits of the CRJ550 for U.S. operators is the ability to leverage cockpit commonality from the CRJ200 to the CRJ900.